Every time I walk into our beautiful building, I recognize the debt I owe to so many of you who have prayed, sacrificed, given, worked, and planned to make it a reality. The Lord did it all, and he did it through his people. I don’t have any delusions about my limitations, so I knew I needed men and women who had an expertise and a temperament to handle the investigating and planning, the execution and the oversight, and all the minutiae that I can never master. The Vision Team we chose did a marvelous job and I will always remember their intense labor and diligence. I owe the deepest debt to two men, Bruce Scott, a lay member of our congregation who masterfully managed spreadsheets, timelines, and financials, and Zack Thurman, the pastor on our staff who showed up on the job site nearly every day and worked closely with the architects and construction crew to ensure that we got our money’s worth and the job was done well. During the building process, I was constantly praying that we would not make an idol or a final goal of our building. I knew the danger of getting into the new sanctuary and resting on our accomplishment as if we had done it ourselves or as though that were our ultimate aim. When, during the thick of construction, Zack told me that the Lord was stirring his heart to move to Colorado and plant a church, I very quickly realized that the Lord was showing his favor and grace, although in a way that I had not anticipated. 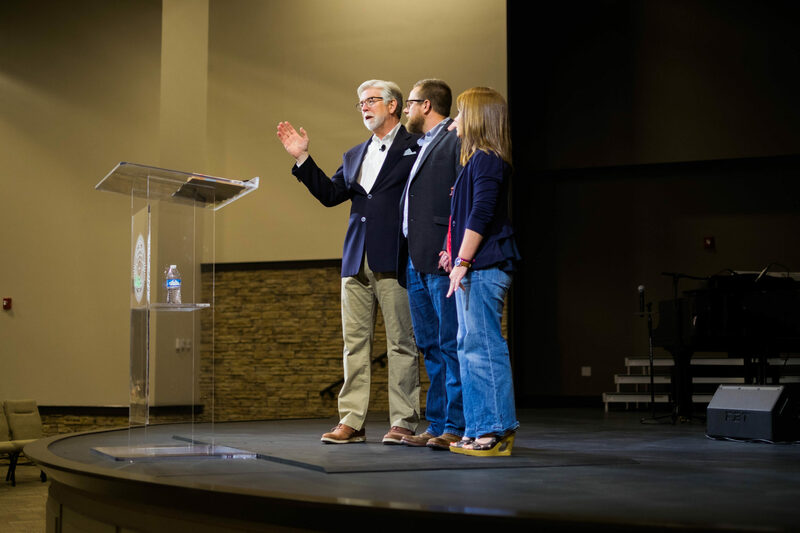 I had promised an announcement that would be more significant than the move on the day we moved into our building, and that happened when Zack and Jennifer shared their calling to Ft. Collins with us. You dear folks, equally sensing God’s hand, have been entirely supportive in every way. What God has done since then is remarkable. Several families and singles have likewise followed the heavenly vision and moved to Ft. Collins along with the Thurmans to be a part of this astonishing work of faith. We have about 25 adults and 23 children that comprise this core group. God has chosen from among our very best and sent them to the Front Range. On January 1, we took possession of 5 acres of property and a 10,000 square foot church building that was completely given to us. Almost immediately we received the funds to fix it up and get it into shape to fit the church we are launching. Other churches are also partnering and sending money, teams, and prayers as a part of this great effort. After all of this work, the church will finally launch and begin weekly services on January 27. I am convinced that hundreds in Ft. Collins will be saved and discipled as a result of this Gospel powerhouse. To God be the glory, but let us also recognize that God worked through the faith and commitment of Zack and Jennifer Thurman and their boys, John Owen and James. This Sunday, January 20, the last Sunday before the official launch, Zack is going to preach at Buck Run, his sending church where he was shaped and formed through your love and where he is supported by your prayers and finances. I am asking you to give the Thurmans a hero’s welcome. Love on them, pray for them, give to them, and honor them in every way. It is fitting and right that, while they labor in a place that has little gospel, they should receive affection and affirmation when they come home and report on the goodness and faithfulness of God. Please make every effort to attend and spare no energy in welcoming them. They are God’s servants. Receive them as such.